Resale, Resale, Resale… I hear it all the time. Why are we so concerned about over improving our homes or being so conscientious about how the next homeowner may or may not like how we renovated? It is your home and it is your time! Do what makes YOU happy. The reality is… no home is truly move in ready. Even if you decided to pack it up and move you and your family down the street into something newer, the odds are that you will be changing something almost immediately. In today’s economic housing market, the reasons to renovate have changed. The days of the good ole return on investment are not as strong as in recent years, unless you have a considerable amount of equity built in your property. The influence to do a major renovation should be hinged on your overall desire to increase your lifestyle and not solely focused in matters of return on investment or mass appeal. The fact is that most people in the South Jersey area are renovating their home in some form or fashion. Bathroom, kitchen, and overall home improvements have steadily increased. With the growing popularity of HGTV and the DIY Network, we are finding more clients with vision and unique ideas. I encourage you to run with those ideas and let us build your dream job. -Take Diego and Rebecca C. for example. They live in an older colonial home and have no desire to move in the foreseeable future. 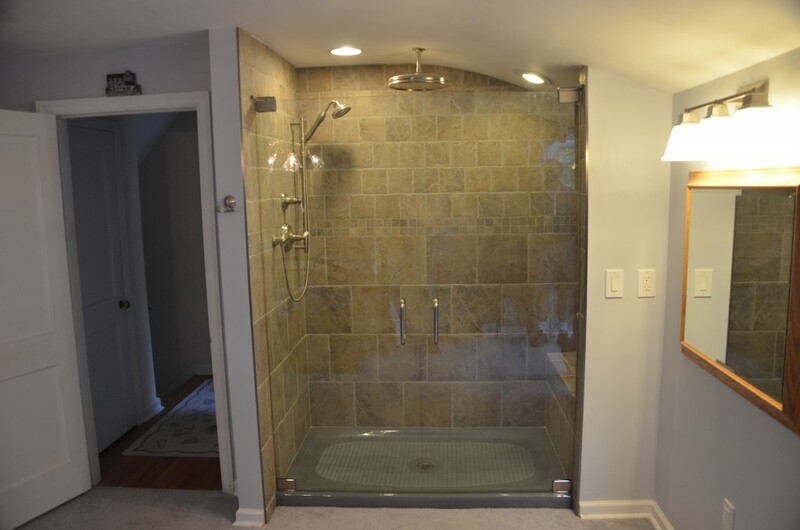 They wanted to add just a shower to their master bedroom because of the simple convenience of having a second basin for just the two of them to use. It changed their lifestyle! It was something that made life easier. It is “different”, but who cares? They are happy with their decision and would do it again if they had to rethink everything over.